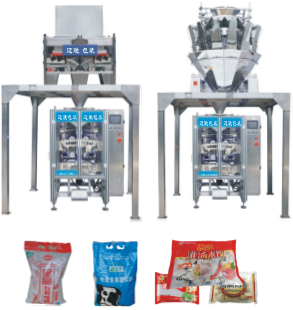 This machine consists of a 5000D/5000B/7300B/1100 vertical filling packaging machine, a combination scale（or CJS2000-F weighing machine）and DT2 vertical bucket elevator. 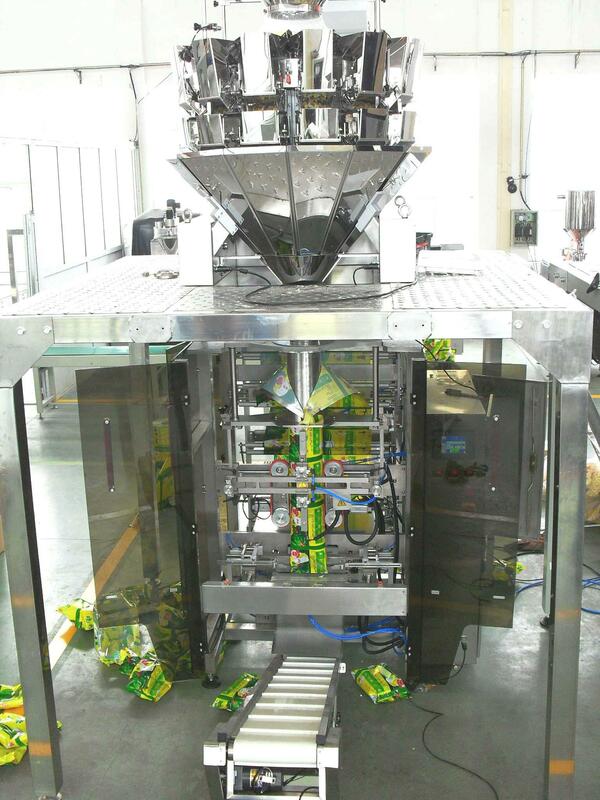 It integrates the functions of metering, bag forming, edge-folding, filling, sealing, printing, punching and counting, synchronous belts are driven by servo motor and all components are well-known brand with reliable performances. Pneumatic system is used in horizontal and vertical sealing mechanism. Advanced design ensures that is very easy to adjust, operate and maintain the machine.